Lidl has been providing high quality groceries at low prices since 1973. 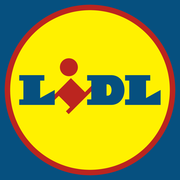 Today, Lidl successfully operates about 10,500 stores across 29 countries. At the Morehead City location, you will find a bakery, fresh produce, fresh meats, international foods, baby items, a wide selection of wines (at select locations) and everyday groceries. Plus, you can find items not typically found in grocery stores, such as clothing, toys, home décor and much more. Rate and review Lidl in Morehead City, NC, United States! Share your experiences at Lidl with your friends or discover more Department Stores in Morehead City, NC, United States.